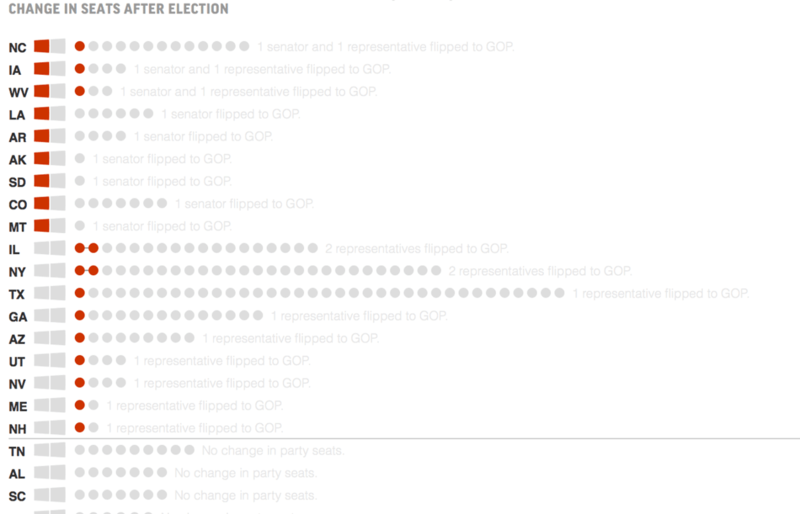 The midterm election was a big win for the Republican party. 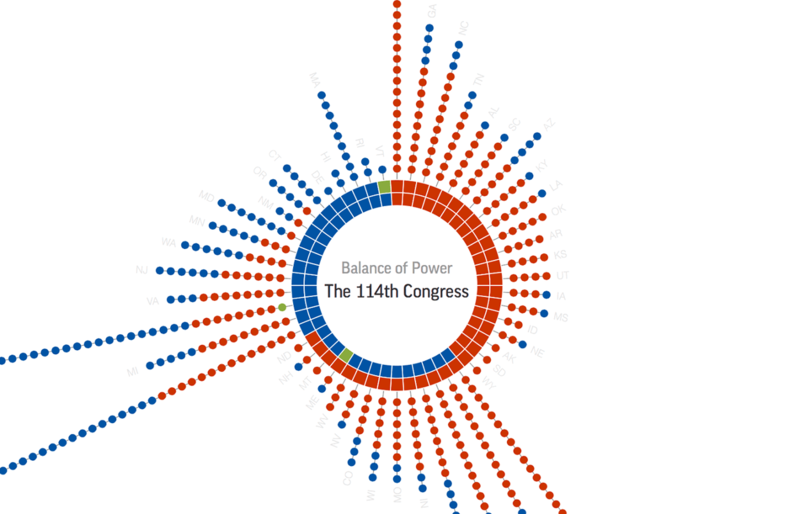 The visualization showed the status of the Congress after the election and the changes took place. 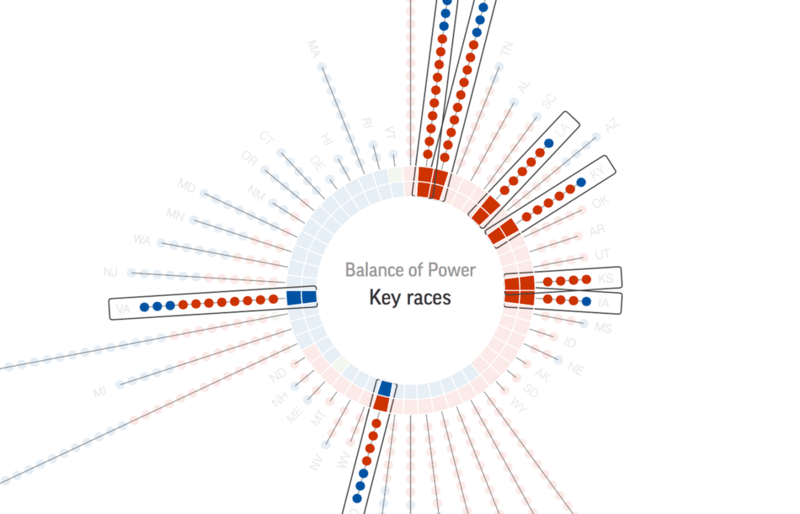 Because the visualization was intended for a second day “things to know”, working with the team, I settled on an innovative design approach to accompany the traditional maps or the balance-of-power bars used for AP live results interactives. A stepper is used to walk users through the visualization before they start exploring on their own.